Yungblud and Halsey have shared a video for 11 Minutes, their new single featuring Blink 182 drummer Travis Barker. It finds the Doncaster singer-songwriter going through the five stages of grief following the death of the American vocalist's character. Barker also makes a brief appearance in a poorly lit underpass. The track is Halsey's second of the year, which is also the case for Yungblud, who dropped Loner earlier this month and is due to embark on a headline UK and Ireland tour in March and hit the UK again in November. Barker, meanwhile, has been busy in the studio with Blink 182, working on the follow up to 2016's 'California'. Sun November 24 2019 - NORWICH Norwich U.E.A. 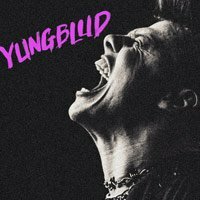 Click here to compare & buy Yungblud Tickets at Stereoboard.com. Yungblud, Halsey and Blink 182 drummer Travis Barker collaborate for new single. Yungblud has lined up a fresh round of tour UK and European dates for autumn. Yungblud, aka Dominic Harrison, has dropped the video for his new single, Loner.